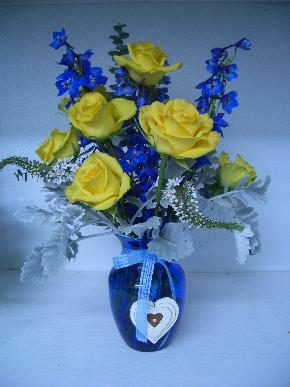 Call Ida and Chrissy to order any of our great designs! Please do not e-mail us your order. Great gift for a man or kid! 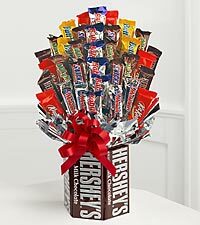 Candy bouquets start at $20.00. Also a great gift for a man or kid! #1: Starting at $60.00. 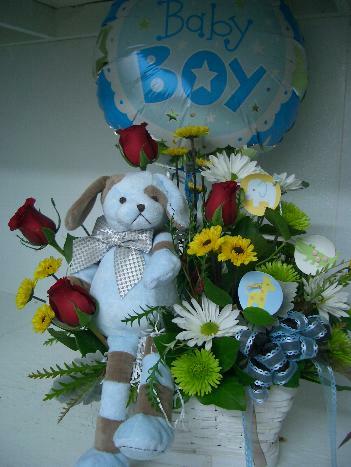 Great for Baby Boy or any special occasion. #2: Great gift for Baby. Change theme for Boy or Girl. Call for prices. 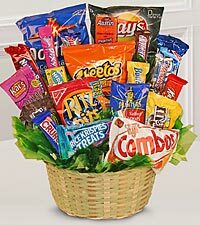 Great for a baby shower centerpiece. Choose your own flowers and color scheme. 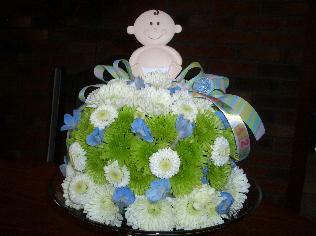 Flower cakes also great for other occasions.